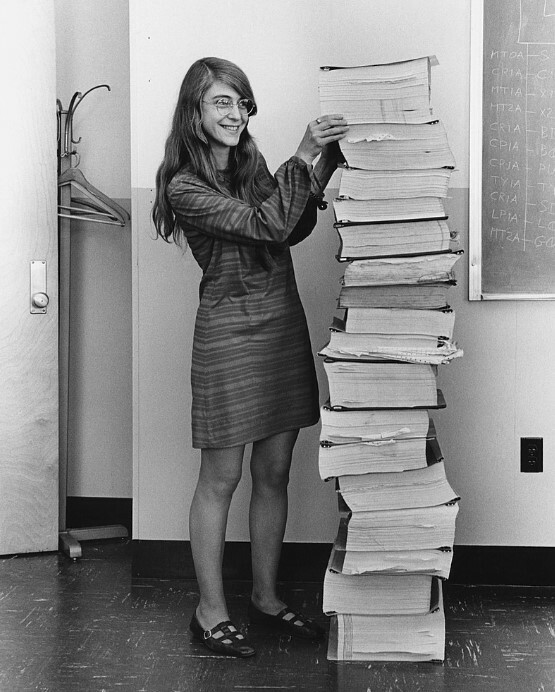 You may be get surprised when you learn that software engineering discipline has invented a woman whose name is Margaret Hamilton. She developed flight software for the Apollo space program which succeeded in landing the first humans on the Moon. Margaret is credited with coining the term “software engineering“. 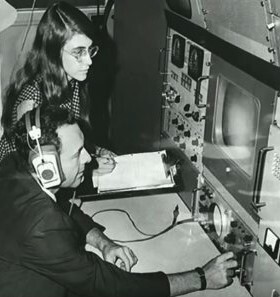 She was Director of the Software Engineering Division of the MIT Instrumentation Laboratory, which developed on-board flight software for the Apollo space program. (Apollo program was the third United States human spaceflight program carried out by NASA, which realized in landing the first humans on the Moon from 1969 to 1972). “I fought to bring the software legitimacy so that it—and those building it—would be given its due respect and thus I began to use the term ‘software engineering’ to distinguish it from hardware and other kinds of engineering, yet treat each type of engineering as part of the overall systems engineering process. When I first started using this phrase, it was considered to be quite amusing. It was an ongoing joke for a long time. They liked to kid me about my radical ideas. Software eventually and necessarily gained the same respect as any other discipline,” she said in a recent interview with the Spanish newspaper El Pais. Margaret Hamilton at MIT during the Apollo 11 mission. In 1986, Hamilton became the founder and CEO of Hamilton Technologies, Inc., in Cambridge, Massachusetts. The company was developed around the Universal Systems Language based on her paradigm of Development Before the Fact (DBTF) for systems and software design.